Red Riding is the centre piece of Channel 4’s winter drama slate with an all-star cast that includes Sean Bean, Paddy Considine and David Morrissey. Three feature length films – 1974, 1980 and 1983, are based on David Peace’s crime thrillers set in Yorkshire in the 70s and 80s; a time of paranoia, police corruption and the Ripper murders. 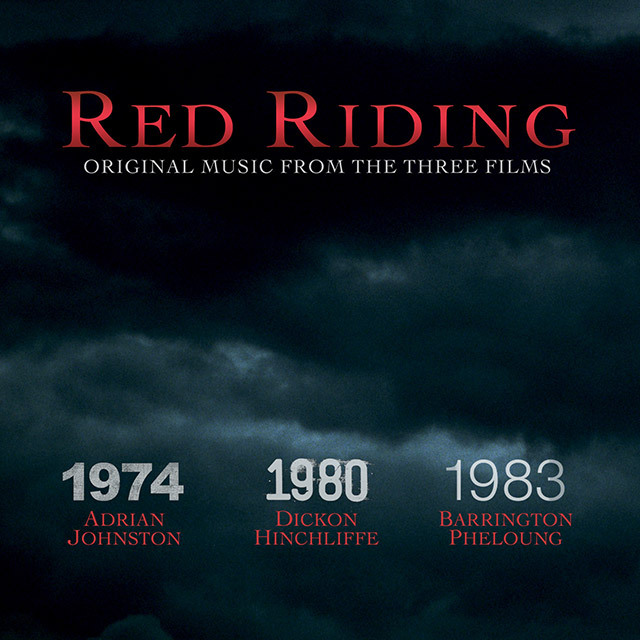 Music for each film is scored by a different composer – Adrian Johnston, Dickon Hinchliffe and Barrington Pheloung. Scored by Adrian Johnston, BAFTA nominated for The Lost Prince, Tipping The Velvet, Perfect Strangers and Our Mutual Friend. He has written over 20 feature film scores including last year’s lavish production of Brideshead Revisited. Scored by Dickon Hinchliffe, the founder member of The Tindersticks, his multi-instrumentalist talents and string arrangements adding a lush sheen to their unique sound. Scored by Barrington Pheloung, an internationally renown composer and conductor with an immense catalogue of film and TV music. Barrington is perhaps best known for writing the signature Inspector Morse theme, one of the most identifiable themes in small screen history.